Beta Glucans are derived from the cell walls of certain plants like shiitake mushrooms and a specialised form of baker’s yeast. Wellmune is a highly purified and patented form of beta glucans backed by peer-reviewed clinical research. See → research page. 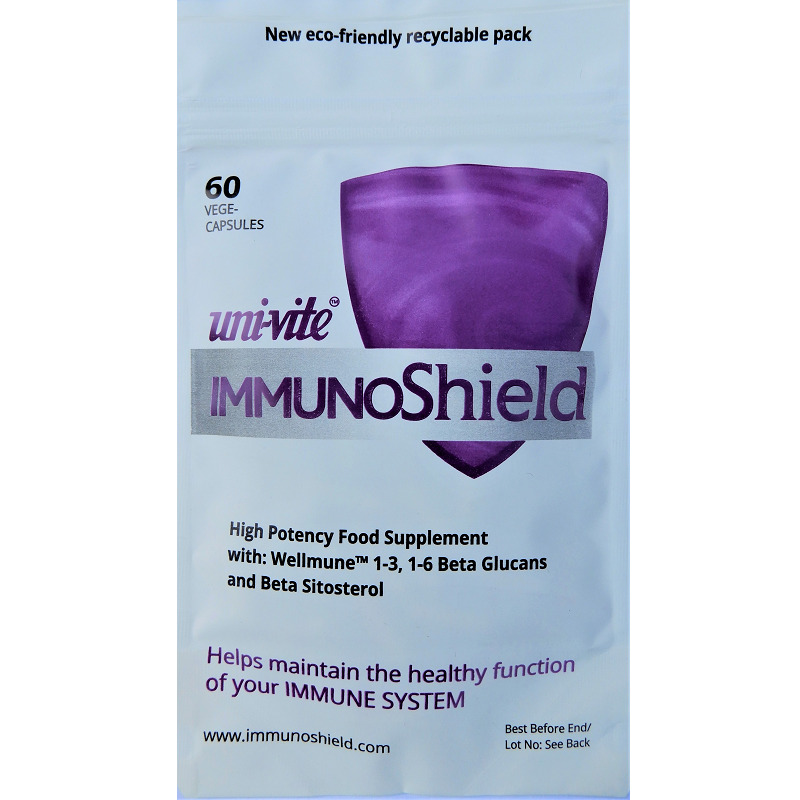 Beta Glucans are being hailed as nature’s most effective immune system activator. A complex carbohydrate fibre, once ingested it primes your body’s innate defences to respond swiftly against viruses, bacteria, parasitic and fungal infections, meaning you suffer less and recover faster from illness. If you work closely with others in classrooms, offices and surgeries, or travel on crowded public transport, you should consider the clear benefits of building up your own and your family’s immune strength. Note: 1-3, 1-6 Beta Glucans are different from oat Beta Glucans which can help lower cholesterol. Return to → home page – or → buy Immunoshield now. Contains WellmuneTM beta glucans - proven to enhance the immune system. Read a FREE pdf of Natural Defenses by Dr Paul Clayton on the immune system and clinical trials behind Wellmune here.